Skellefteå Church Town “Bonnstan” is one of the most well preserved 19th Century Church Towns of its kind and remains pretty much unchanged since it was built between 1830 and 1840. Families who lived miles away and therefore had to travel far to attend the Sunday masses at the city church built a Church Town only as a temporary home. 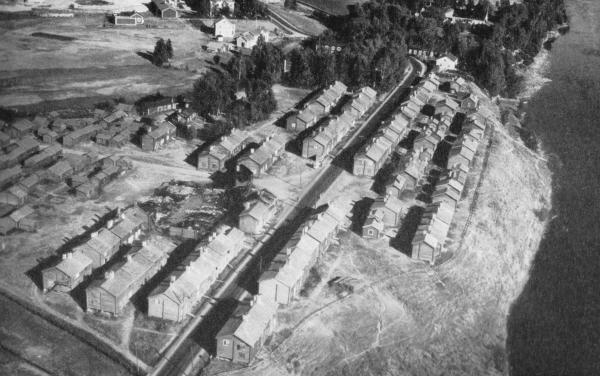 Church towns were built near almost every church in Västerbotten, Norrbotten and the Finnish region of Österbotten. The Church Town has existed since the 17th century and is a result of the Swedish conformist movement and the dawn of the Protestant Church in 1527. The Church was looking to achieve an effective education of Christianity among the Swedish population as described in Luther’s writings. This resulted in a demand of continuous visits to the church with rigorous tests performed by the local priests at people’s own homes. So, as the people now had to come to church every Sunday and obviously also on all the religious holidays, those demands had greater impact on people who lived up here in the North compared to those in the South and their shorter distances. Unsurprisingly, those great distances caused more people in the north to fail in their education. This led in 1681 to an agreement between the priests and the village leaders called “the Church Ride”. This meant that the people who lived within 10 kilometres from a church had to attend every Sunday and that those that had between 10 and 20 kilometres should attend every other Sunday. If you had 20 to 30 km you should visit every third Sunday and so on. A social meaning also came forward during these weekends when people gathered in the Church Town. Among the usual messages of a religious context read out by the priest, there was also information about upcoming markets. In the Church Town itself people exchanged gossip from all over the area. For many, this was the only way to meet others outside the family and here, many young people met and relationships as well as job opportunities were established. In fact, the tradition of socialising in the Church Towns grew so strong that it continued long after the Church Plight ended during the middle of the 19th Century. The oldest writings about this Church Town in particular are from the year 1637. Today, we know it burnt down in 1672 but was immediately rebuilt. During the 18th Century it was said that it consisted of up to 300 cottages with additional stables and sheds. In 1835 a fire once again burnt most of the Church Town to the ground. That year it was decided that the new little town should be erected slightly to the East of where it originally stood and this came to be the Church Town that today we call “Bonnstan” (e.g. The Farmers’ Town). The new name came about in 1854 to separate it from the newly instated city of Skellefteå. Today, Bonnstan has 116 cottages that consist of 392 chambers or ‘flats’ and an additional three stables. The larger houses consist of up to eight chambers – four on each floor and with a shared entrance, whereas the smaller houses mainly contain two to four chambers. Additionally, further north of the town an area of church stables belonged to the Bonnstan area. 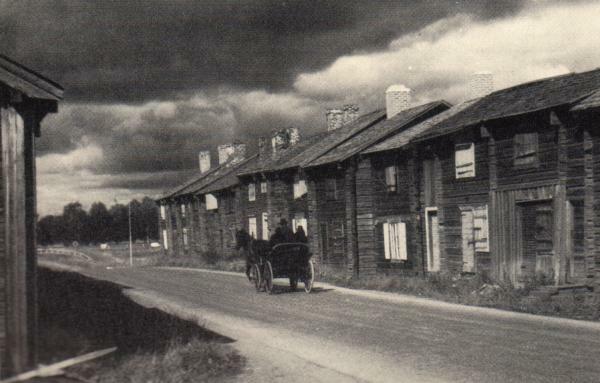 Apart from three stables, these are today long gone as some have been demolished and some were burnt down. The Church Plight was relieved in the 1850’s, but the tradition stayed on for another few decenniums. From the 1920’s and onwards as the roads and vehicles improved in the area it was no longer necessary to stay overnight in Bonnstan when visiting town or the church. Bonnstan therefore started to deteriorate slowly, as wooden houses normally do when they aren’t taken care of, and sadly many cottages were demolished and sold as firewood. Between 1977 and 1986 Bonnstan was finally renovated according to old writings and journals in order to regain its 19th century features. The private ownership of the different chambers remains as before and the owners know that together they share this magnificent piece of history between them, leaving great responsibility for the care of preserving Bonnstan for the future. During the two seasonal festivities that are Midsummer and the ‘Church Weekend’, Bonnstan truly comes to life again as in the old days.